As a city girl living in a small town world, I had to get used to a sad reality: the hipper the business, the sooner it goes under. Towns that are too small to draw crowds to trendy new places leave a trail of well-designed websites and hugely popular Facebook pages behind like empty shells washed ashore. Once, I saw a sign advertising belly dancing. Belly dancing! Searched Facebook and saw a post only a week old promoting Thursday night lessons. I called and heard a voicemail greeting for the company. I showed up the very next Thursday only to loiter in front of an empty, locked door that would never open. I should have known that it was too cool to last. Worse, even the essentials like available plumbers, handymen, and electricians are hard to find online. These are the 4 extremely frustrating problems I face whenever I look for a local pro online. In the city, social media might be a good place to find info on a company. But, you’re in the boonies. So, while it’s nice that Joe’s Mechanic did a great job fixing someone’s brand new Model T Ford at the turn of the century, it takes current info to reassure you. Instead, you’re looking at a social media page that could easily be a time capsule to the early 90’s. In a small town, a rave review is one that exists. After looking up business after business and seeing empty reviews, you promise yourself that when you finally book a pro, you will come back and post a review. Funny how the same neighbors who join Neighborhood Watch to catch a robber, won’t leave a review when an inflated estimate robs them and soon, their neighbors. 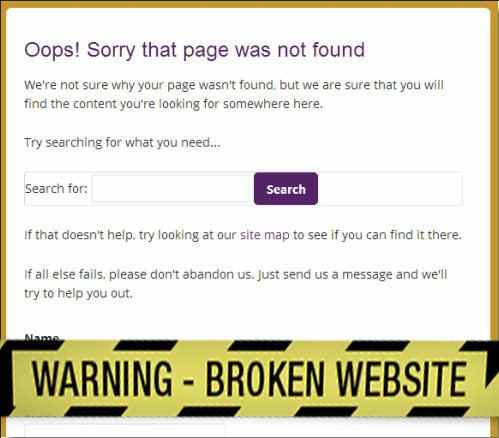 In a small town, your heart isn’t the only thing broken when you visit that website you saw in a local directory. Sure, you live in a small town where small businesses aren’t even aware of half the places where they’re listed online. So, you don’t blame them for forgetting to update all 50 million online directories. But, boy…visiting a website or calling a number you found on a trusted online listing only to find it broken or disconnected really burns your biscuits. 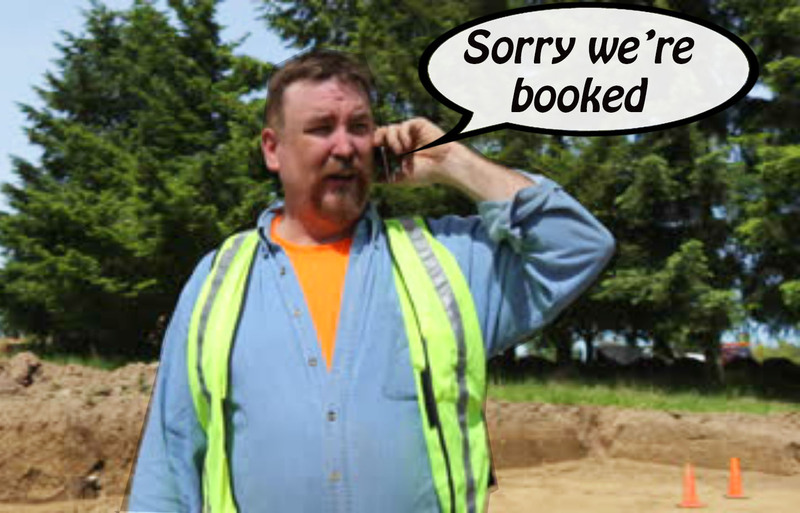 It seems like the handful of small town businesses that make themselves visible are always booked. And why not? It’s not like they have any real competition. And you never know whether to assume other businesses simply don’t exist or that they’re in the witness protection program. Your town, after all, is the type of place they send you when they need you off the grid. But finding local pros doesn’t have to be such a hassle, not even in a small town. Luckily, I have my TalkLocal app. It scours the web to find an available pro, even if local businesses don’t have a “fancy-pants online presence like those big-shot city fellers!” Plus, it converts online searches to phone calls to area businesses; you know, for all of those old school pros who still think phones are more for talking. The national average for the time it takes TalkLocal to get consumers talking to the right, available local pro is about 4 minutes, that includes small towns like ours. TalkLocal, available at www.talklocal.com, is free to use and free for download on iPhone and Android. Check it out! If you haven’t been eating healthy this winter, we’ve got good news and bad news. First, the good news: it looks like you may have a few extra weeks to trim up the beach bod, assuming recent weather patterns are any indication. Now for the bad news: you haven’t been eating healthy and your body hates you, no matter what size it is. Fortunately, Mother Earth (in its infinite wisdom) has provided a plethora of ways to satisfy both your body and your taste buds. Here are 7 tasty treats that should be hitting your table and belly, so ten-hut! 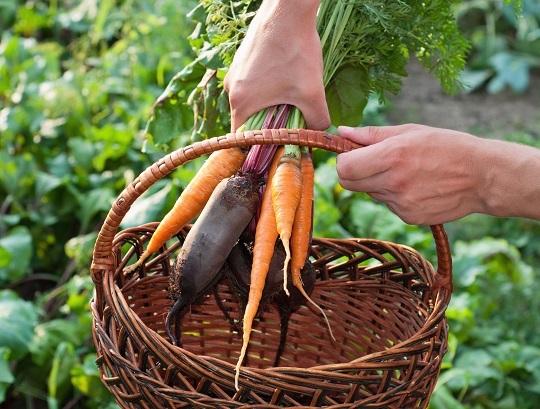 Bod boost: Carrots contain vitamin A which lowers blood pressure. Belly bonus: Grated carrot salad with raisins, pineapple, and topped with yogurt is super delish. Bod boost: Peanuts are a great source of protein. Belly bonus: Homemade granola is a sweet crunch scoop of heaven. Check out this Honey Peanut Granola recipe. Bod boost: A great source of fiber, vitamins/minerals, and helpful in heart disease and diabetes prevention. Belly bonus: Try this Red and Green Lettuce with Cranberry Vinaigrette as a side to a healthy meal. Bod boost: Has antioxidant and anti-inflammatory properties. Belly bonus: Just dump washed raspberries in a pitcher and fill with water. In three days, you’ll have a healthy punch that’s lower in sugar than most store-bought juice. Plus, it’s pretty; so use a glass pitcher! Bod boost: Glutathione is an antioxidant that even slows the aging process. Belly bonus: Avocados taste great sliced with olive oil, soy sauce, and toasted sesame oil drizzled on top. Bod boost: Super low-cal with folate for heart health and lowered cholesterol. Belly bonus: Add a dollop of hummus for a healthy dose of flavor. Bod boost: Fiber-infused to fight digestion problems. Belly bonus: Whole wheat crackers are a great choice for a light midday meal when paired with any meat or cheese. The first step to looking good is feeling good. So, fill your body with what it needs to be its best. And, if you need help getting that fuel and kicking your fitness routine into overdrive, visit TalkLocal to talk to one of your local personal trainers. Wake up. Push yourself out of bed. Shower, dress, stumble to the kitchen, get coffee. Find something to eat. 7:30AM – drag feet to the car, drag yourself into work, drag your way through the day. It’s like a vending machine: insert hours, receive dollars. Take your earnings and drag yourself home…just in time to get some sleep and start over the next day. Employees will inevitably slide into “The Grind” if they lose sight of their value to the company; reminding them that they’re more than a number of hours is crucial. By holding weekly meetings where company goals are articulated in terms of how each employee fits into the picture helps instill a feeling of investment in their position. Educating employees on their roles can also improve their performance; only clear goals can be pursued. Combining this approach with compliments and recognition of performance improvements will bring genuine positivity and an attitude of focus to your company culture. This mentality can tear a business apart. We’re always at our best when enjoying ourselves, so find ways to bring a little fun into your team. It can be as easy as a game of cards for a smaller group or as big as a bowling night; take a vote on it. The other night, the TalkLocal team went bowling, scheduled right after we hired new interns – put briefly, relationships were built. It’s no surprise that, the next morning, the TalkLocal interns were talking to their teammates. Not only did having fun increase our team’s productivity through facilitating collaboration, it contributed to the relaxed, positive atmosphere that defines a good company culture. To company managers and owners: understand that to your audience and employees, you embody the company. Capitalize on this through the intimacy of a small business by keeping in frequent and meaningful contact with employees, especially new ones. Enrich your employees by allowing them to make recommendations and educating them about the business model; questions are a sign of investment, so make sure to invite them. Overall, a positive company culture is defined by recognizing that your team is the sum of real people. Don’t wait to make them feel that way, because you’ll lose out on the most productive and satisfied force you’ve seen yet. If clock-in is starting to feel like a funeral death knell, then turn a new page on your workplace and enliven the office by showing everyone their value and your appreciation. Of course, if getting more and higher quality jobs is the best way to lift up your team’s spirits, then check out TalkLocal; it lets you preview jobs for free by phone and opt into a live conversation with the customer you want to do business with. No more paying for leads you’ll never use. Click here to claim your profile. Once upon a time, in a land not-so-far away, the good people of Homeville were enjoying their winter. It had been a strange one. Rather than the usual frostbiting wind that forced the people to wear heavy coats, the weather had been rather warm. While it was a concern for some, many people took the warmth for what it was – a chance to be outside and enjoy themselves. Certainly things would be well this winter. Without warning, the people awoke to a fearsome roar. 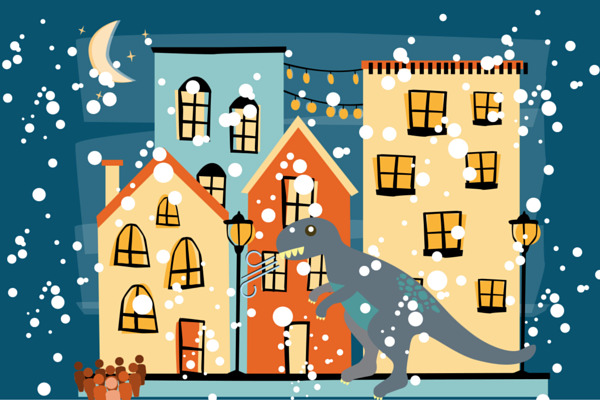 Gazing through their frosted windows, they all watched in horror as a grand, bone-chilling beast came through the city. The monster roared thunderously as it stormed through the city, covering all in its path in a mass of snow and ice. It was a beast that none believed they would see for another year. A monster that no one could defeat and all feared. As people ran to their homes, seeking shelter, Snowzilla ravaged the city, leaving nothing but destruction in its wake. The monster’s rampage was swift but brutal. In a mere day, it had managed to uproot the lives of all the people before leaving to spread chaos elsewhere. While the people were glad that Snowzilla had gone, it didn’t change the fact that they were still left with its aftermath. Many people were trapped in their homes, and while they were able to ask for help, it still seemed too much to handle. Who would be able to save these poor people from the dread that Snowzilla had brought upon them? Just as all seemed lost, there was the sound of fanfare. People who were capable left their home as they saw a crowd of knights coming forward on their fearsome steeds. The people stared in awe as all of the knights stopped in front of them. Who were they? What did they want? No one dared to move. 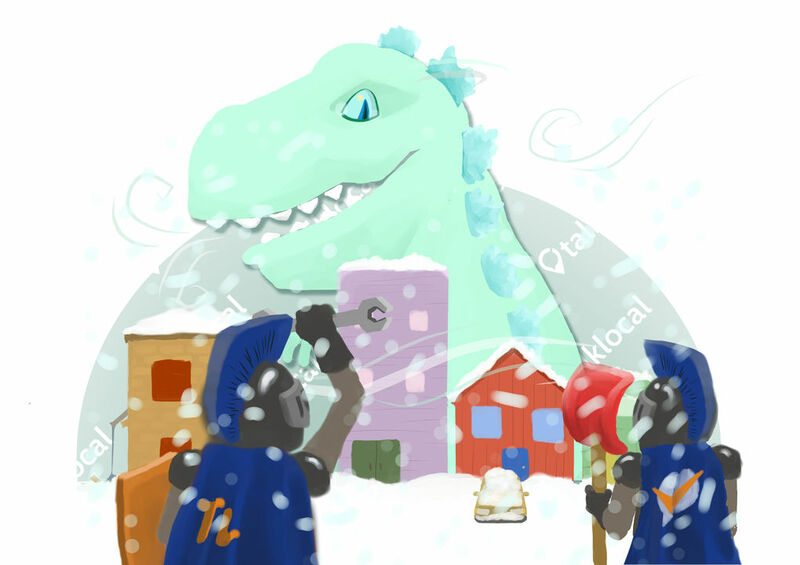 They had never heard of this kingdom and now that it had come right after Snowzilla’s rampage, what were they meant to think? The knights simply stood there, waiting for someone to come forth first. You see, they would not make the first move. Although sent to Homeville to help the people of the village, the knights could not act without the direct request of each individual. Thus, they waited, giving the people time to see that they were interested in assisting them. After what seemed like an eternity, an older man came forth. He shuffled slowly towards the knights, using a cane to help support himself. Slowly but surely, more people came forward, each with a concern that needed to be addressed, and with each person, there was a knight who was able to solve their problem. With enough time, the knights of TalkLocal had assisted the people until they were able to resume their normal lives. And with that, the knights rode off towards their next quest, the cheers of the people sending them off. Your computer was so great when you first got it. It ran like it was could win first place in a marathon. But now? Now, it’s become the titular tortoise from “The Tortoise and the Hare,” taking the lesson “slow and steady wins the race” a bit too far. Well, it needs to turn back into the hare, so you can use it to its full potential. Here are some tips to help clean out your computer to make it speedy again. 1. 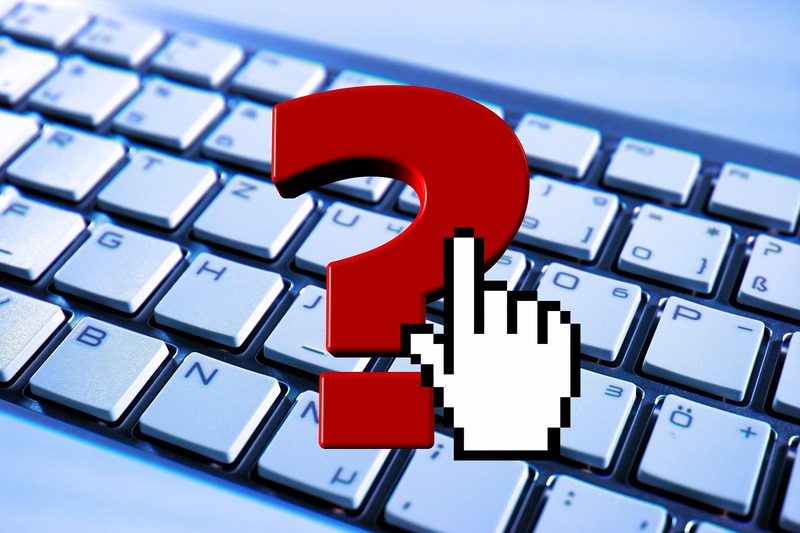 Uninstall programs: Take a look in your programs and settings menu. There are probably several on the list that you don’t even remember downloading, and now they’re sticking around for nothing. If you don’t need them, uninstall them. 2. Upload files: We have a tendency to take the photos and documents we’ve downloaded from the internet or our cameras and just leave them on the computer. If you want to keep them, upload them onto a flash drive or external hard drive. That way, you’ll have them for safekeeping before deleting them from your computer. 3. Update your virus software: Viruses are the bane of a computer’s existence. Just when you think you’ve taken care of them, they come back up. Make sure you have anti-virus software and that it’s up to date. Also, remember to do a routine virus check. 4. Physically clean it out: Your computer might be slow because it’s full of dust bunnies, blocking up the vents. So, shut your computer down, unplug it, and let it cool down for 30 minutes. Then, take a can of compressed air and use it to clean out the computer’s vents and keyboard of residual dust and crumbs. 5. Ask an expert: If your computer is still rebelling against you despite everything you’ve done to help it, it’s come to the point where you should ask an expert opinion whether it can be saved. Call TalkLocal so we can find you a computer specialist. With these tips, your computer should be picking up speed. If there are any other issues that you want to take care of while you’re on a roll, check out our computer repair blog page and get going. You’re relaxing in your living room, enjoying the warmth of your heater. You give the room a quick once over and your eyes land on one of your houseplants. You water it, give it sunlight, even talk to it, yet it still looks listless and worse for wear. Why? Well, plants are finicky creatures that can’t tell you when something is bothering them. 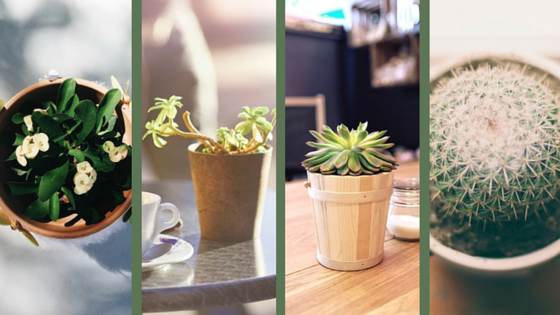 Luckily, today is Houseplant Appreciation Day and you’re determined to diagnose the problem and solve it. After all, what better way to show your plants just how much you appreciate them? So, here are five things to consider when trying to perk up your plant. 1. Consider A Different Pot: As your plant continues to grow, it may be cramped in the pot you first bought it so it may be time to upsize. If you do, consider your plant’s next home. Maybe you want to switch to a nonporous ceramic pot to retain more moisture in the soil. If it needs a new pot, make sure that it has a way to drain so the roots don’t get waterlogged; saucers are a good way to hold the water your plant needs to drain out. 2. 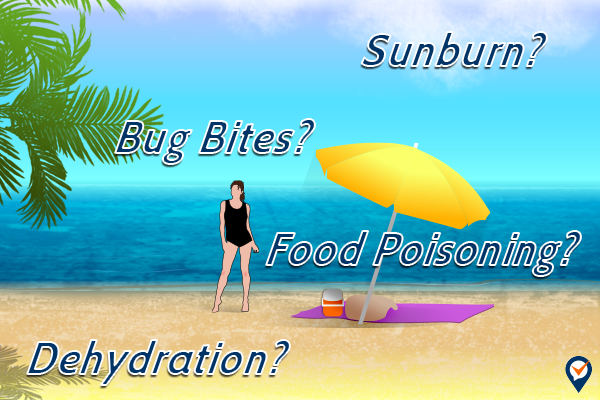 Improper Sun Exposure: Your plants may be in a place where they can get sunlight but make sure it’s the right amount. If your plants’ leaves are sickly and colorless then they’re getting too much light. If the leaves are turning yellow and new leaves are growing small, then they’re getting too little light. Take a look outside the window and take note of anything that may be enhancing or blocking the sunlight. 3. Improper Watering: Over-watering is one of the most common reasons plants end up dying. Is your plant wilting? Are the leaves turning yellow, even though you’ve been watering it? Then you should lower your watering schedule. Are you not watering as much and the leaves are browning and wrinkling? Then you’ll want to give it more water. You can also test by sticking your finger about an inch or two into the soil and seeing how wet it is, or you can purchase a moisture meter. 4. Washing Them: Have you been washing your plant’s leaves? You should. If you don’t, not only do they get all dusty and gross-looking, but the dirt makes the plant unable to photosynthesize at full capacity. To clean your plant’s leaves, use lukewarm water and a soft cloth for larger smooth leaves. For smaller leaves or leaves you don’t want to touch, you can use a spray bottle or sink sprayer. 5. Watch Out for Pests: Even inside plants can be attacked by bugs. So, when watering your plants, inspect their leaves closely for any pests or their eggs. You can detract these pests when you’re washing the leaves by using a soap-insecticide mixture with the water. If you see any concerns with a single plant, isolate that plant from others until the issue is resolved. While it’s not technically a ‘holiday’, there’s no denying that Black Friday is one of the most widely celebrated days on the calendar. And by celebrated, I mean, you go into stores and try not to get body slammed while looking for dozens of cheap goods. But how are you supposed to do that when you just had Thanksgiving dinner and are weighed down by turkey, stuffing, and potatoes? 1. Create a List: You may want to take advantage of every single sale you see but you know that you can’t and shouldn’t. You need to determine exactly what you want, write a list, and stick to it. Know the item and its brand. Take note of the price so you know you won’t pay more than you intend to. Find out everything about the items you want and then go out and conquer. 2. Stake Out Your Location: After deciding what you want, know where you’re going to get it. What store chain are you going to and which specific store out of that chain will you hit? One close to home or one far away to avoid (some) of the crowds? Either way, choose one store and walk around the store beforehand so you can quickly locate items without directions from what will surely be very busy sales clerks. 4. Bring the Right Equipment: Don’t bring a bag loaded to the brim with stuff. Have a properly secured bag (a fanny pack if need be) where you’re able to find your wallet, keys, and any coupons you may have as quickly as possible. If possible, get a scan protected wallet or sleeve for your card as these large crowds are easy hunting grounds for cyber thieves. Finally, bring a water bottle and a portable breakfast so you don’t pass out in the long lines. 5. Skip It: Just don’t go. Thanksgiving was the day before and you had to deal with crazy family members, arguing over food and what to watch on TV. No one will hold it against you if you stay home to avoid the danger that comes with this nightmare of a day. Stay home, relax in your favorite pair of slippers and if you really want to ‘celebrate’ a special deal, take a look at some nice Cyber Monday sales. And there you have it. 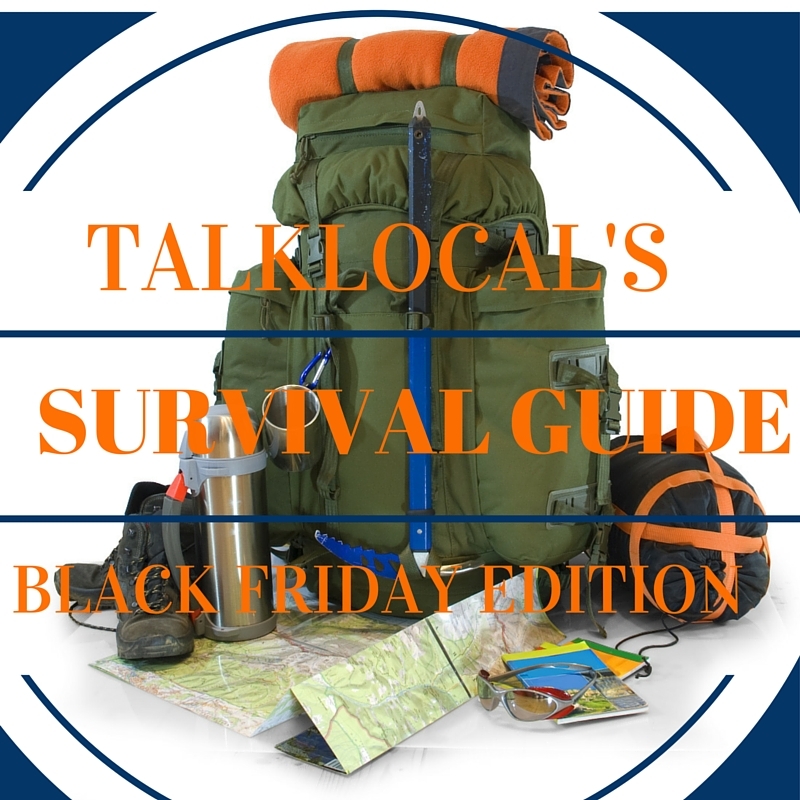 If you feel you must absolutely go out this Black Friday, please be safe and use the tips in this Black Friday survival guide to your advantage. If you choose not to go and will give Cyber Monday a try, contact TalkLocal so we can make sure your computer is in tiptop shape. Not as Humid — The heat and humidity in the summer months actually makes it harder for the paint to dry and cure properly. The excess moisture from the humidity prevents it from evaporating, and it doesn’t bond to the wall. This will cause issues with the texture of the paint and result in an uneven coat. It also makes the paint dry a lot faster. Moderately Cooler Temperatures — Those temperate weather seasons like Fall and Spring are great for opening the windows to let the paint fumes out without worrying about letting the heat or A/C out with it. Once the winter hits, painting would put you between fumes and freezing; in the summer it’s that or the fiery heat. Saves Time for Other Projects — By repainting the interior of your home during the fall or even winter months, you will have time for other projects like gardening, patio upgrades, and painting the exterior of the house — projects that are best done in the spring and summer. If you’d rather skip all that hard work and relax, let TalkLocal find you a professional that can handle it for you. Best part is — painting contractors are likely to score you a good deal because the colder months are their slower months. There is only one thing as cute as a pet, and that’s a baby. Put a Halloween costume on either a pet or a baby and you have created an unstoppable monster of cuteness, capable of melting every heart in its path. Baby and/or pet plus costume equals the single-most adorable thing in the universe hands down. The only thing more difficult than not falling victim to the awe-inducing charms of a pet or baby in costume is deciding which one is cuter. What sociopath could possibly fix their minds to choose between cute babies and cute pets? The combined forces of babies and pets embody everything good, beautiful, and pure; a life without either would be unlivable. It’s like choosing between air and water. Yet, here at TalkLocal, we challenge you to do the unthinkable. 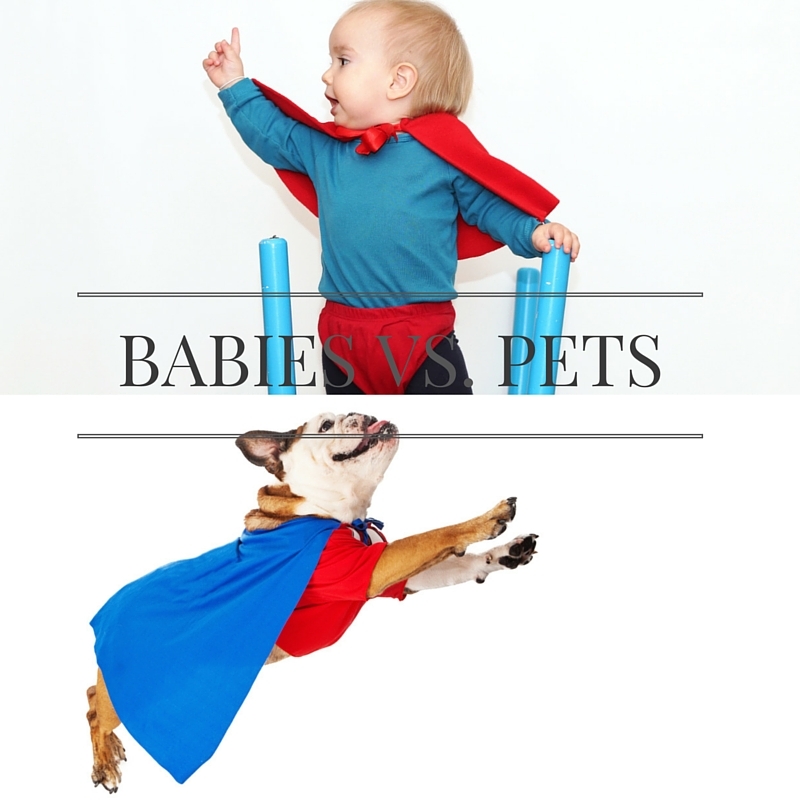 Pets and babies together in one costume contest, and there can only be one winner! To vote: check out the hashtag #BabiesVsPets, the most adorable place on the internet. Retweet and like as many sweet pet and baby pics that you like. Who could fall in love with just one? To submit your pet, baby, or both: share your baby or pet costume pics with @TalkLocal and use the tag #BabiesVsPets. To win: Get the most faves and retweets by Midnight Monday November 2nd, and you’ll win a $25 Amazon Gift Card. Need some extra funds for Holiday shopping? Here’s an easy way to get it! Of course, babies and pets are equally cute in different ways. Plus, the love that parents and pet parents have for their beloveds has a glow that no single picture can capture nor retweet or fave can express. This is just a fun way to celebrate the internet’s most powerful feelings-targeted weapon, and share in the pride of all the parents who have invested time, energy, and money to make the sweet eye candy of costumed pets and babies possible. Click here to submit or vote!